(Spinning Top & Yo-Yo Museum tours separate times, check details. Bring your yo-yo, or buy one here. Sunday May 24, 2015: 2 pm contest, followed by Kendama contest, too! 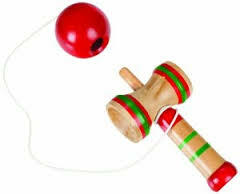 Following yo-yo contest: Kendama, Paddleball, and Cup 'N Ball Contest, too! and jugglers invited to show their talent! world champ & Duncan pro Mark Hayward! -Any yo-yo or two different yo-yos may be used. -Divisions must have a minimum of 2 contestants, or divisions may be combined. they are eliminated from the contest. only and a maximum of 5 inches or less of string left. -The two contestants that complete the most tricks (minimum of 5 tricks) may be eligible for prizes. or $14, then free to enter the contest. Have your own? You may use it, and buy one from here to use or giveaway. Free to watch, buy the paddleball for $4 to enter the contest. downtown historic Burlington in front of museum. The Most Hits of 20 Tries Division. Free to watch the contest, held outside in front of the museum. Buy a wood cup’n ball here to enter the contest for $4.50. Keep the cup 'n ball that you purchase, too..
2 Divisions: Most continuous cups made and the most in 2 minutes. downtown historic Burlington, Wisconsin, USA.